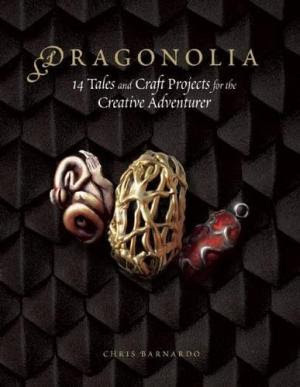 This intriguing, imaginative, ingenious and extremely quirky book is a must for dragon lovers of all ages. It contains fourteen stories, written in Victorian style, following the adventures of Sir Richard Barons, a nineteenth century dragon hunter. Intertwined in each tale is a related craft project. Children may need adult help with the activities as sharp knives, glue guns and spray paint are involved. Having said that, the projects fire the imagination and some could be adapted for younger children to enjoy. I particularly like the Wizard’s Wand, the Dragon egg pendant and the Dragonhide pouch. Chris’s website www.dadcando.com is well worth a visit. There are so many great projects there including printable apothecary labels for your Griffin Bone and Dragon Heartstring bottles and jars.